Pilates Nest Mama Challenge // Day #7 - Full Body Fusion — Pilates Nest move well. live well. Congrats Lovelies! You made it to the final day of the Pilates Nest Mama Challenge, Day 7! Take a moment to notice who good it feels to nourish and replenish your body and mind consistently with flexible, realistic, and empowering method no matter how busy you are. Whether you did few workouts or all 7, it's time to celebrate you! We're finishing the challenge with Full Body Fusion Pilates. Today's full body Pilates is designed to strengthen and energize your body from top to bottom and calm your mind! In this 10-minute Pilates, you will exercise and sculpt your ab, arm, legs, glutes, and back. You'll finish this Pilates class feeling energized, stronger, more flexible and refreshed! Sounds pretty good, doesn't it? 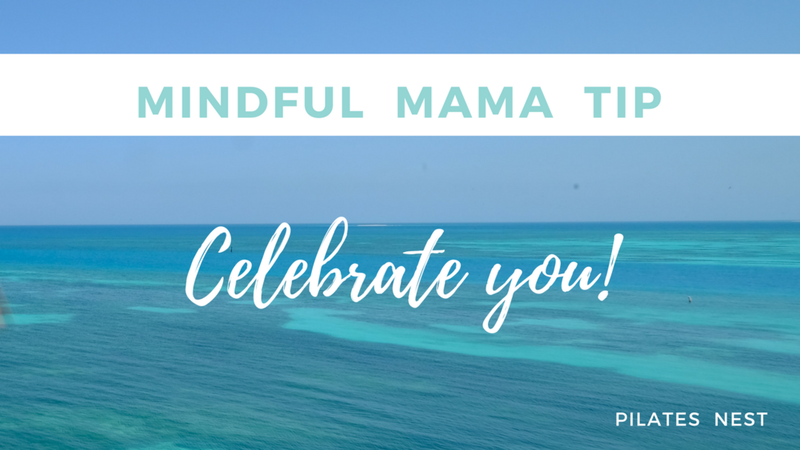 Today's Mindful Mama Tip is to celebrate you! A membership to the Pilates Nest Tribe is the perfect way to treat yourself after completing the challenge! I can't wait to continue working with you! As soon as you enroll, you’ll receive access to the members-only dashboard, a library of online Pilates workouts and much more. Don't stop now, let's keep this good thing going! After you complete today's assignment, share how feel and how you're celebrating today at the Pilates Nest Facebook Page or private Facebook Group under and cheer for other Mamas in this journey with you. See you soon for your next workout! PPS - Want to learn the 3 most common when committing to a new fitness routine, how you can avoid them, and 5 practical strategies that will set you up for long-term success? Join me for a LIVE BONUS FREE online workshop today! Get the details and ‍‍‍set a reminder on the live event here so you don’t miss out!